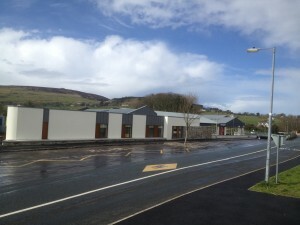 We are a sixteen teacher school situated at the foot of Knocknarea Mountain in Co. Sligo. We currently have 240 children attending our school and we pride ourselves on our high standards of positive behaviour and academic achievements. We also have an autism unit based in our school called “The Glen”. This is staffed by two teachers and five Special Needs Assistants (SNAs) for the twelve pupils enrolled there. You can find out more information about The Glen here. We provide a wide variety of experiences for our pupils and have fine, modern facilities in a rural school community environment. We have just completed a comprehensive building project in the school year 2014/15 which has greatly enhanced the school environment, both inside and outside the school building. We have a very positive school climate and we hope that you get a feel for this as you navigate through the pages of our website.